At the request of the civil society and the Chamber of Commerce of Bogota, the Secretariat in cooperation with Nobel Peace Laureates decided in June 2016 to hold the WSNPL in Colombia to foster the peace processes in Colombia which were still on the way to negotiate peace agreements. Following that decision, the Summit was held in February 2017.  The Secretariat was asked by the Summit participants to continue the endeavors in helping in implementing the peace processes in Colombia. Based on that the Secretariat took the decision to start the permanent activities in Colombia. It has also been decided to extend the experience from Colombia to other Latin American countries. For that, the Secretariat has set up representation in Bogota as the Secretariat Center for Latin America. As a Representative for Colombia and Latin American Initiatives, the Secretariat appointed Sandra Garcia who was actively involved in the organization of the Summit in Bogota in 2017. In her new role, Ms. Garcia will be responsible for maintaining and strengthening contacts and partnerships with counterparts of the Permanent Secretariat in Latin American countries. Having an extensive background in both intercultural relations and socially engaged projects Ms. Garcia in the past 15 years has been involved in effective transformative initiatives. At the Colombian Government agency, Procolombia, she was part of the team that created and put in place the successful strategy that improved Colombia´s international perception and strengthened the international tourist attraction. As a diplomatic official in charge of the Strategic Planning at the Colombian Embassy in Ecuador, she was part of the team that rebuilt bilateral relations in the most critical and sensitive political context of the recent history of the country. As Executive Director of the Bogotá Convention Bureau, she led the strategy that made Bogota the leading Latin American destination for the Meetings and Events Industry and the only city in the region member of the Best Cities Global Alliance. Along with these recognitions the Convention Bureau gave Bogotá in particular and Colombia in general, the opportunity to host the most important dialogues on the issues highly demanded by civil society as peacebuilding, economic development, youth development programs, among others.“People, the power of hope” and “Fostering transformation through the events industry” were the two strategies designed and put in place to promote such dialogues with the active involvement and commitment of public institutions, the private sector, and civil society organizations. More than 20.000 people in Colombia benefited from these initiatives and today a strong commitment remains for leading a new orientation of the events industry not only to promote international businesses for the local companies but to leave a legacy.